Though it was easy to be optimistic about EA and DICE’s follow-up to 2015’s enjoyable-yet-malnourished Star Wars Battlefront reboot, the end result is one of the most depressingly, dispiritingly botched sequels to a hit AAA game this generation. 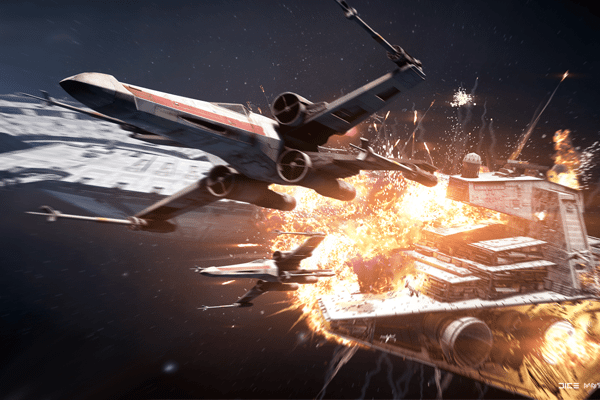 From its infuriating, predatory progression system to a campaign that fails to live up to EA’s chest-thumping hype, Battlefront II is a stylishly efficient shooter with remarkably little behind its slick visage. The previous game was lauded for its stringent adherence to the tone and aesthetic of Star Wars while heavily criticised for its piecemeal suite of content, and EA’s marketing push ahead of this sequel’s release was incredibly effective in arguing that the follow-up was going to be a content-rich apology for its predecessor’s foibles. Sadly, that’s not really the case at all, and EA’s decision not to offer a Season Pass for Battlefront II has instead resulted in them jacking a microtransaction system into the game which veers dangerously close to pay-to-win. Now, in fairness, EA quickly pulled the plug on the game’s paid-for crystal currency following a ferocious fan backlash on the eve of release, but it would be naive to believe that these elements won’t be returning in the near-future. Furthermore, with the multiplayer offering’s backbone being built so fundamentally on the premise of randomised progression, which heavily incentivises spending real money where possible, it’s hard to see what EA can feasibly do beyond lower the cash price of crystals. With crystal purchases currently disabled, you may not be able to pay for an advantage at present, but progressing still feels headache-inducingly convoluted and, worse still, thunderously dull, thanks to the luck-based doling out of ability-boosting Star Cards. Beat-to-beat, there is fun to be had in Battlefront II‘s multiplayer, that much is true. 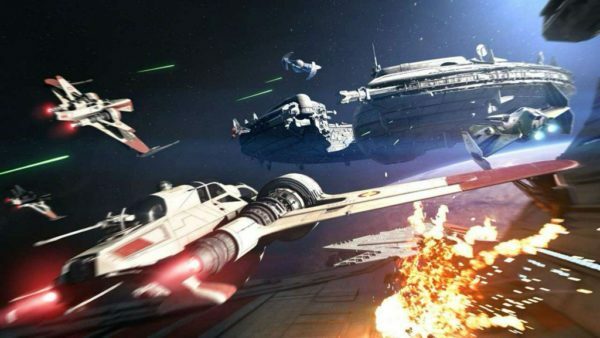 The 40-player Galactic Assault mode can provide some breezy, casual entertainment, even if the lighter-than-air shooting mechanics, boring maps and litany of slapdash design decisions – embarrassingly, players clip through teammates when playing in third-person perspective – make the mayhem ultimately feel bereft of much soul or inspiration. Starfighter Assault, a 24-player dogfight mode, is admittedly a considerable improvement over the previous game’s rather lacking Fighter Squadron, though it’s a shame EA didn’t throw a VR mode into the mix considering how fantastic last December’s Rogue One X-Wing Experience was. Through and through, this is a game clearly assembled at the behest of a publisher algorithm to be as blandly acceptable to the widest audience as possible. At least it looks nice, one might say. Indeed, Battlefront II is a very pretty game, and while not leaping miles ahead of its predecessor, is an impressive visual showcase all the same. The various planets, character models, vehicles and whatnot all appear lovingly recreated here, even if they’re piped into a system that gives them little interesting to do. A sharp warning should also be served to those planning to play the game on a launch PS4; at the time of press, multiplayer matches are accompanied by heavy, persistent stuttering, which can frequently result in a shot being missed, or most outrageously of all, getting killed while your PS4 tries to parse whatever calamitous netcode EA felt was “good enough” for launch day. That a AAA game from this IP was released in such a compromised state is absolutely shameful. By far the game’s most consistent area, meanwhile, is its sound; especially with a snazzy pair of headphones on the noggin, Battlefront II is at least the best-sounding Star Wars game ever. 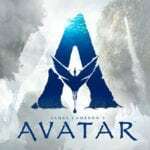 From satisfying blaster fire to scattered of-this-world dialogue and sweeping orchestral swells, it is an aurally sumptuous game, and deserves so, so much better from the other departments. The multiplayer suite will keep most players busy with the aforementioned match-ups, other modes such as the returning Heroes vs. Villains and the 8v8 objective mode Strike, and even a barebones arcade mode. In an attempt to sweeten the deal further, a cursory effort has also been made to placate those craving an actual narrative-driven campaign. The keyword here is cursory. 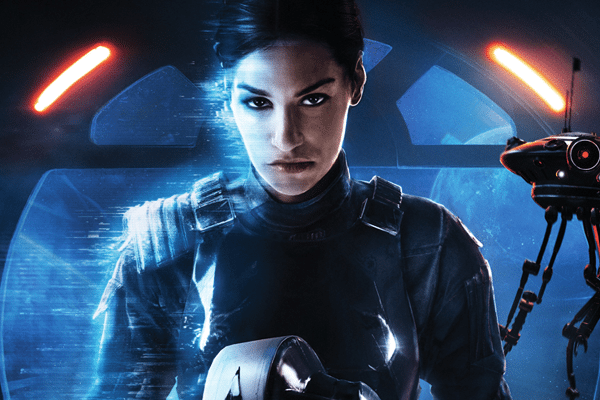 Battlefront II‘s story mode is a middling four-hour romp that sets up a compelling new protagonist in Imperial commando Iden Versio, though leaves her stranded amid a low-effort, comically predictable plot that frequently revokes control of her in favour of fan servicey, pandering asides starring the likes of Luke Skywalker, Princess Leia, Lando Calrissian and more. 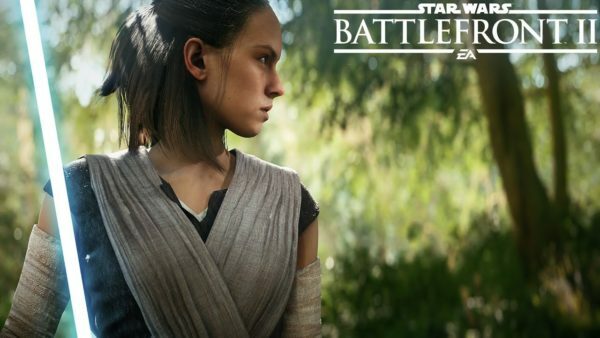 Given the considerable lip service EA paid to the campaign ahead of release, that it feels so piecemeal, with only the most basic, objective-based shoot-and-defend gameplay, is shockingly disappointing. For those who readily dismiss the Call of Duty campaigns as lazy and uninspired, it’s worth taking a look at Battlefront II‘s hollow offering to see what that really looks like. 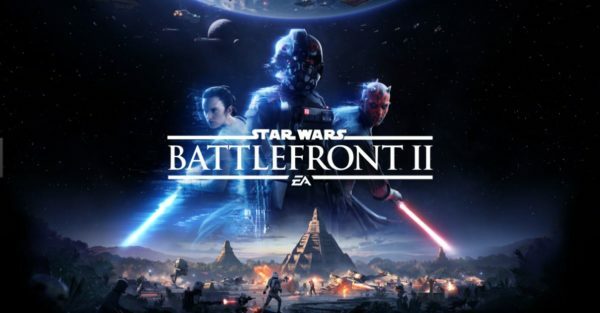 There will certainly be those who don’t mind the game’s awkward-at-best progression system or the forgettable campaign, and more power to them, but if you were expecting EA and DICE to deliver a sequel that satisfyingly served up everything the original skimped out on, you’re in for a crushing disappointment. In a time where loot box nonsense and peripheral monetisation of game content is at an all-time high, it’s important to call publishers out on their gross practises. Though at the time of pen-to-paper Battlefront II doesn’t contain any concrete pay-to-win elements, they were there once, and they will almost certainly be back once the holiday push is done with and EA has finished trying to claw some goodwill back from fans. That they felt comfortable releasing a game with such contempt for its own player-base who paid “merely” £45 for the base retail game is appalling, and that “vanilla” PS4 owners are left with a jittery mess of a multiplayer mode only compounds how insulting a proposition Battlefront II feels at present. 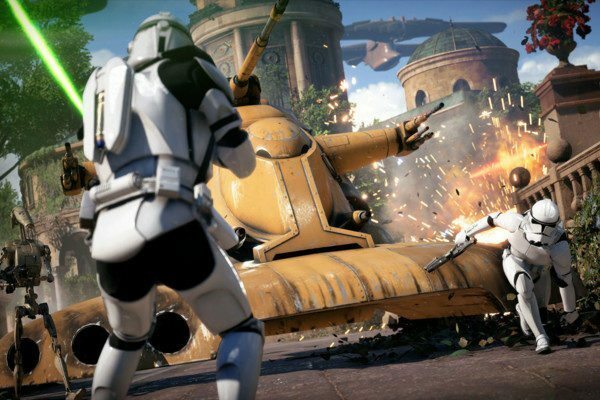 Could EA decide to remove microtransactions entirely, and patch the game into shape in the near future? Absolutely, but games aren’t played or reviewed in a vacuum, and as it stands, for most players Battlefront II‘s rushed-for-Christmas release simply cannot be recommended. There is a great game here desperately gasping to escape the force choke of corporate greed, but at launch, it’s a decisive L for gamers everywhere.